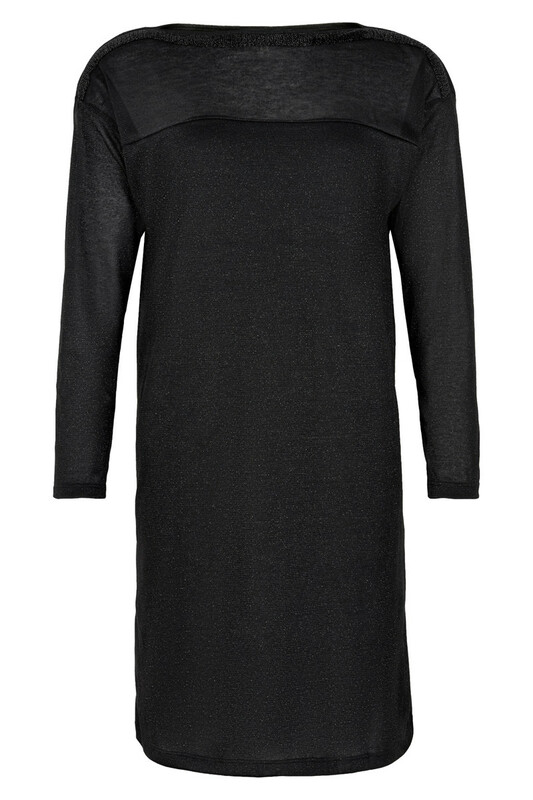 Beautiful and long-sleeved dress from Cream. The dress has a loose fit with tight sleeves and a nice comfortable undergarment dress. Furthermore, the trendy dress has a wide, feminine and round neckline. It has an elegant glitter effect in its comfortable quality, but the dress’ absolutely most trendy and eye-catching thing is the metallic look at the neckline and at the shoulders. There are small metal rings collected in a decorative pattern, that adds very stylish look to the dress. The stylish and elegant look of the dress, along with its transparency at the sleeves, provides some cool style options. It will undoubtedly be a hit for festive occasions, especially because of its comfort, as well as the festive and stylish look.